Frank Lampard - new Derby boss. Derby County went from 11/2 from 6/1 this morning to get promoted to the Premier League next season after confirming the appointment of Frank Lampard as their new manager. The former Chelsea midfielder put pen to paper on a three-year deal with the Rams on Thursday and has already seen money to be an instant success in the boardroom, with Derby going 16/1 from 18/1 to win the Championship next season. 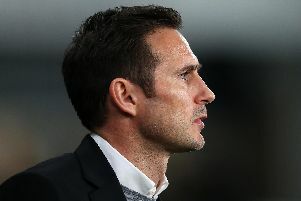 More cynical punters have dabbled in the 12/1 that Derby sink to League One next season on Lampard’s watch, while the 39-year-old is 10/3 to find himself out of a job by the end of the 2018/19 Championship campaign. With the transfer window already open, John Terry is being tipped to feature on Lampard’s list of transfer targets and is 6/5 to don the white of Derby County this summer either in a playing or coaching capacity. Lampard’s ex-Chelsea teammate signed a one-year deal with Aston villa at the start of the last campaign but a statement from the Birmingham club this week confirmed that they will be parting company.